Sunday’s election result in Brazil did not transpire in the way that polls had predicted. 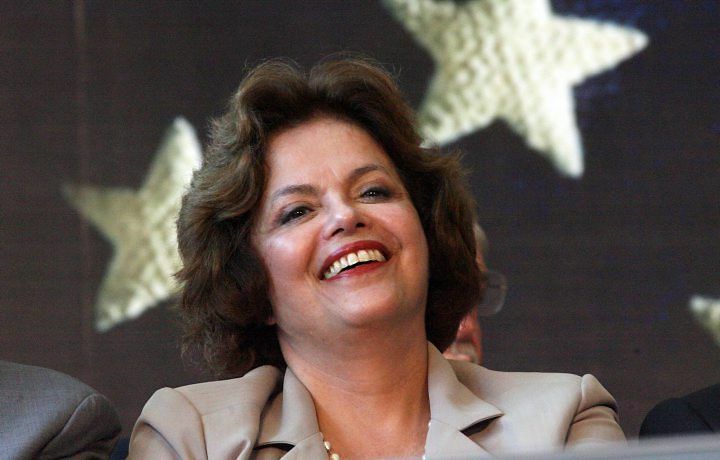 Until a week ago, it was widely assumed that Dilma Rousseff of the Worker’s Party (PT) was a shoo-in for victory in the first round of voting, following the endorsement of the widely popular incumbent President Luiz Inácio Lula da Silva. However, as results emerged it became clear that Rousseff had failed to reach the 50% of votes needed to take the presidency without a runoff. In the end, Rousseff won 47.6% of the vote, while José Serra, a veteran of the Social Democrat Party (PSDB) took second place with 32.6%, reflecting a setback for the Lula machine. The primary reason for Rousseff’s partial decline in popularity in the run-up to the election seems to be continued fallout from corruption scandals in the PT that shook her campaign. In mid-September, allegations were published in Veja magazine that Israel Guerra, the son of Lula’s chief of staff Erenice Guerra, had solicited money from companies to arrange government contracts and loans. Guerra ended up resigning as a result of the accusations. In spite of this, polls consistently put Rousseff over the 50% mark, suggesting that additional factors may have dented her campaign as well. Rousseff’s failure to break 50% was itself was a surprise, but perhaps more surprising was the performance of the 3rd place candidate, Marina Silva of the Green Party, who far exceeded expectations by winning 19% of the vote. The voters Rousseff lost in the days before the election seemed to switch allegiances to Silva rather than Serra. There has been some speculation that part of the reason for this was Rousseff’s seemingly ambiguous stance on abortion. Silva, on the other hand, is an evangelical Christian, who is vocally opposed to any steps towards liberalization. Clifford Young, of the polling group Ipsos, highlights another possible reason for Silva’s unexpected success. Young suggests that under Lula, the Brazilian class structure has shifted, with approximately 30 million Brazilians entering a growing middle class. Young argues that “Silva’s success in the first round is, in part, a result of this shift in voter demands. Specifically, her ‘sustainability’ and ‘quality of life’ messages especially resonated with this emergent class.” Rather than appealing to voters through the paradigm of employment, as Rousseff and Serra have consistently done, Silva appealed to the new desires of Brazil’s growing middle class such as education, crime and the environment. This illustrates the paradox that redistributionist movements often face, as the greater social equality they bring about leads to rising expectations, with voters often becoming detached from the populist message they originally favored. Interestingly, the fact that Rousseff failed to win in the first round, highlights the limits of Lula’s influence, and reinforces the fact that his popularity was centred on him personally rather than on the Worker’s Party. Brazilians will go to the polls again on October 31st, to decide conclusively between Rousseff and Serra. It remains highly likely that Rousseff will emerge victorious, given that she requires only a 3% increase in votes from the first round. Lula won the elections in 2002 and 2006 in second rounds without getting near the 47% in the first round that Rousseff gained in this year’s election. Indeed, despite the setback of having to campaign for a further month, Rousseff still has a strong and appealing message, posing as the continuation candidate in comparison to Serra, who symbolises a pre-Lula Brazil. It has been suggested that given her success in the first round of voting, Marina Silva has the potential to be ‘king-maker’ in the coming weeks of campaigning. While Silva’s support would undoubtedly give a boost to either candidate, her personal endorsement is unlikely to be the deciding factor. It is by no means a given that Silva’s supporters, whose voting preferences are informed by a wide variety of issues, will blindly follow her opinion. Indeed, for Serra to win the election, he will have to convince a number of Brazilians who voted for Rousseff in the first round to vote for him in the second; certainly no simple endeavor. The race to become the next President of Brazil therefore remains Rousseff’s to lose. It seems that, barring a significant derailing of her campaign, come October 31st she will become the first female president of Brazil. However, pollsters and political analysts alike should heed the warning of former Prime Minister Harold Macmillan who, when asked what is most likely to send political campaigns off course, famously replied “events dear boy, events.” Macmillan’s view can definitely be applied to the first round of voting, in which specific incidents caused Rousseff’s campaign to stumble with the finish line in sight. For Serra to make up the ground required to win the second round, however, truly crippling events would have to unfold around her campaign. This is of course always a possibility, but at this moment in time, remains unlikely. Whoever wins the second round will inherit a country on an upward trajectory. Brazil is globally respected and is in a position to negotiate a greater role both regionally and on the world stage than ever before. However, the outgoing president will not be easy to replace. Universally accepted as Brazil’s most popular leader of recent decades, the success of Lula makes him a hard act to follow.